The Enforcement Directorate (ED) Wednesday conducted raids on at least six locations in Mumbai and Delhi-NCR region in connection with the multi-crore IL&FS payment default crisis, officials said. They said the action by the central probe agency came after it registered a criminal complaint under the Prevention of Money Laundering Act (PMLA) in the alleged payment default case and searches were being conducted at the residential locations of executives linked to the Infrastructure Leasing and Financial Services (ILFS) including its former chairman Ravi Parthasarathy and few others. The raids are on in Mumbai and locations in Delhi and the national capital region (NCR) including Gurugram, they said. Officials added that the investigators are looking at collecting additional evidences and documents apart from what they have obtained till now as part of the probe. The debt crisis at the infrastructure lender came to light following a series of defaults by its group companies beginning September, 2018. IL&FS has defaulted on payment of loans to SIDBI and along with its subsidiaries has a combined debt of over Rs 91,000 crore. The ED's case is based on an FIR filed before the Economic Offences Wing (EOW) of the Delhi Police in December last year. Ashish Begwani, Director of Enso Infrastructures (P) Ltd, had filed the case against officials of IL&FS Rail Ltd for allegedly causing Rs 70 crore loss to his company by fraudulent means. Begwani had alleged in his complaint that in August 2010, he was approached by two officials of IL&FS Transportation Networks Ltd and he had invested Rs 170 crore in IL&FS Rail Ltd, a special purpose vehicle for Gurugram Metro project, in order to take its 15 per cent shares. "However, over a period of time, the complainant observed that the company is not performing profitably and funds are being misused," an EOW official had said quoting Begwani's complaint. The ED will probe if funds generated illegally in this case were laundered to create illegitimate assets by the accused. The crisis-ridden infrastructure conglomerate IL&FS group, once hailed as a pioneer of public-private partnership, has come under the scanner of multiple regulators, for alleged defaults related to financial disclosures and corporate governance. 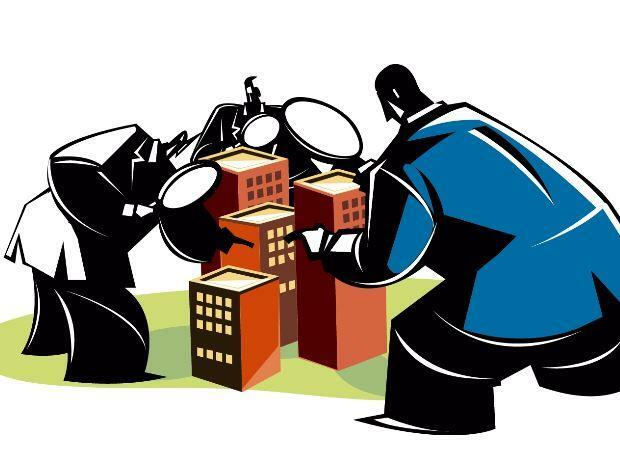 Subsequently, the government intervened into the crisis and re-constituted the company's board and the matter is now being heard by the National Company Law Tribunal (NCLT). IL&FS was incorporated in 1987, initially promoted by the Central Bank of India, Housing Development Finance Corporation and Unit Trust of India.